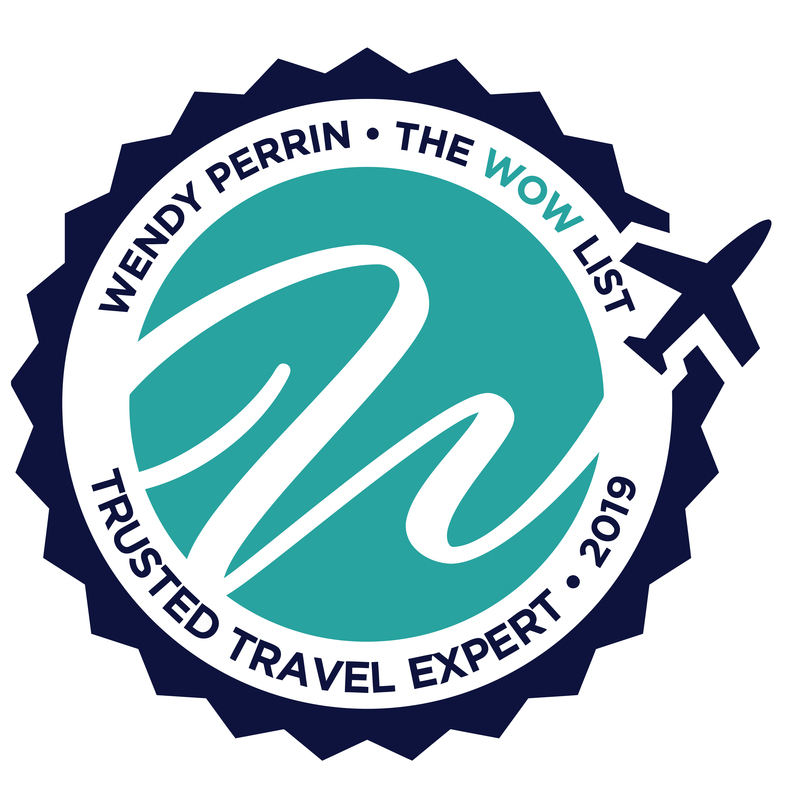 Raluca Spiac is on Wendy’s WOW List of Trusted Travel Experts for her expertise and connections in Romania. The reviews below are from real travelers who’ve taken trips that were arranged by Raluca and monitored by Wendy. Don’t miss Raluca’s Insider Guides to Romania: Insider’s Guide . This was the second time that a friend and I used Raluca Spiac and her staff to plan a trip to Romania. The first trip, most of it in eastern Romania, was so terrific that we decided to visit the western side of this fascinating country. Raluca does an excellent job of designing itineraries, willing to make any changes desired. Not every hour of our trip was planned, allowing us to just take off and explore, always with our expert guide, Greg. He had great suggestions and provided a wealth of information. I also appreciated that Raluca had inspected all of our accommodations before making reservations. I cannot speak highly enough about the excellent service, guidance, and friendship provided by Raluca Spiac and the rest of her staff. Lastly, Romania itself is amazing. The bucolic scenery, stunning vistas, colorful villages, friendly people, interesting variety of architecture. Every day brought a surprise. Raluca's team did in fact go beyond! When preparing for our trip to Romania and excitedly sharing our plans with family and friends, we heard one question a lot: Why Romania? We would usually answer with a smile and announce something we were looking forward to, but after our trip, we have a bold and enthusiastic response of how much we recommend this trip to anyone who is looking for a new adventure! We are so glad that Wendy Perrin planted the initial idea of Romania to our travel plans and that we were able to work with Raluca to make it happen. Traveling to Romania was truly like traveling to another time! We were struck by the history we were surrounded by; we explored, climbed, slept in structures that were erected before the United States were even established. We learned about the context of Romania and its beautiful people from several centuries’ worth of history, from Vlad the Impaler (of course) to more recent communist rule. On our trip, we had the opportunity to work with a local guide who translated for us, filled in cultural gaps we would not have understood without him, and encouraged us to take advantage of every moment we were there. Raluca’s team did, in fact, go beyond! With their action-packed excursions and wonderful hotel reservations, but also the personal touches they included. Never did we imagine planning a trip where we would be able to make personal connections with the people from the agency themselves. That is something we will carry with us. So if we go back to the initial question: Why Romania? Meet great people, eat fresh and local food, live parts of history, appreciate simplicity, take in natural beauty, and be reminded of how small this world of ours really is. I would absolutely recommend Raluca and her team! They did a fabulous job with us on the trip from start to finish. They were always attentive to our requests. Raluca was able to diplomatically tell us we couldn’t do all that we wanted within the time period we had established. Her thoughtful planning created a wonderful trip for us. Our guide Greg was top notch! We thoroughly enjoyed his company, his knowledge of the area and its history, his quiet ability to give us “information time” while at sites and then time on our own to wander. He was also very good at touring by the seat of his pants sometimes as I made requests to stop at this shop, oh, this one too, and “do you know any weavers in this community?” etc. I also liked that Greg provided us with a phone, which came in handy. Alex, our Bucharest guide, did a great job too. He was very informed on the history of the country, events in Bucharest, and a good driver. He carefully saw we were taken care of along the way at spots where no English was spoken, such as The People’s Palace. I really enjoyed visiting with the local craftsmen known by our guide Greg…the blacksmith, bee man, jam man, also liked seeing the women’s knotted, woven, and boiled work. Along the same lines, I liked staying at the Viscri (spelling?) very much. Next time, an extra day there, maybe on a horse! I loved driving through all the different villages and eating local. Meals were always good; Greg did a great job knowing where and when to stop. And the Bucovina area was all so stunning and a fantastic place to stay and take our meals. I didn’t expect the simplicity, beauty, and slow pace of life outside Bucharest. We will return, and the next time we’ll stay longer. Great well organized people with excellent ideas that were tailored to my every need. I organized a trip for 20 very demanding people; all of whom were overwhelmingly enthused. Overall the experience was fantastic with the uttermost compliments from all! From an organizational perspective, everything was perfect. Laura was fantastic !! Great country and a great opportunity to see some of it. I did really love Brasov and the hotel!! Our two-day tour simply spectacular from a VIP perspective. My people overall VERY impressed which is hard to do. All of my group wish to use her again. In fact, I made referrals to colleagues who similarly had excellent experiences. My husband and I are frequent travelers who enjoy interesting places and luxurious comforts, sometimes a difficult combination. Recently we took a trip to Romania and were fortunate enough to have Raluca Spiac as our travel advisor. Over a three month period, Raluca questioned my likes and dislikes, got to know my husband and my interests, style and budget and proceeded to plan one of the best trips we have ever taken. I have never worked with a travel consultant that better identified what I wanted, needed, or would like to discover in a more consultive way than Raluca. My husband and I tend to be “loners” when we travel. We are not the folks that take group trips, or follow a specific schedule of the highlights of a given place. We love to see the best of a place, but sometimes that happens to be a small shop on side a street, or a conversation with an art dealer who does NOT have a shop in the main tourist area, or a dinner with a truffle hunter in a small village. We love to sleep in wonderful beds, eat fresh, well prepared food, learn some history, visit a castle, and pick berries in a verdant field we may happen upon. We’ve taken walking trips in the English countryside, rented villas in Italy in towns where only the Italians go, stayed in 5 star hotels in France, hiked in Austria staying in small family owned inns, driven across the United States, toured Japan with Japanese friends, fished in Patagonia and even just relaxed on the beaches of Hawaii. Romania is a very under-valued country. It has the elegance of Vienna, yet the charm and countryside of Sicily in the early 1980’s. The food is excellent and would impress the likes of Alice Waters for its provenance and flavor, the people are welcoming, generous and kind, the scenery is jaw dropping, and the culture is so very interesting because not many have discovered it yet. It is a true jewel in the rough, and Raluca and her team understand this and have made it their mission to show you the best of it. It’s impossible not to be moved by it, or fall in love with it. Raluca takes her mission seriously. It is like having a very hospitable and intelligent friend plan a trip for you and follow you around to ensure that all is well. We were coddled, yet left alone. There was always someone there to assist, yet we had our privacy. That is a difficult one to engineer. We found ourselves truly relaxing because we knew everything would be taken care of. All we had to focus on was enjoying the moment. Thanks to you we used Raluca as our travel agent, and I cannot rave enough about their excellent work. We worked mainly with Raluca, but all the staff had input into the itinerary. They did four revisions, back and forth with us, to get it just right. We sent lists of what we wanted to see, they made additions, lots of good back-and-forth communication. And the price was amazingly reasonable. My daughter-in-law showed the itinerary to a friend of hers who grew up in Romania. She said it is absolutely a fantastic itinerary. I cannot thank you enough for recommending Raluca.